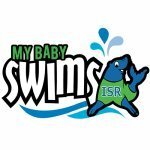 Here at the Lawrence Family Jewish Community Center we offer our own type of unique academy style swim lessons that is set in a productive, professional, and nurturing environment. We focus on teaching water safety and work to instill a passion for swimming in all of our participants. Lessons take place in our shallow end at our Olympic Pool where the water is heated and children swim beside our Barracudas swim team and also share the pool with Olympians. This always provides an end goal and possibility for a sparked future in swimming. We currently offer lessons starting at age 4 and up. We book our lessons for the month at 30 min sessions twice a week for a total of eight lessons per month. All of our lessons are with a certified and highly qualified instructors and we offer various options for lessons. We offer Private (One on One instruction with one of our instructors)and Semi-Private lessons (2-3 on One instruction offered only to those who have two swimmers at time of registration). In the summer months we offer Group Lessons that consist of 5-6 swimmers to one instructor. To Register for Swim Lessons, please send a completed electronic copy of our Registration Form to Megan Steinbergs, Aquatics Coordinator, at swimlessons@lfjcc.org , or you can print a copy and turn in a completed hard copy of the Registration Form to our Guest Service Desk. Once the Registration Process is complete, you will either receive a request email, or you will be sent a wait-list status email, depending on your preferences and our lesson availability. Lessons are scheduled out for the month, so registration takes place around the 20th of the month before and rosters are finalized by the 25th. The Wait-list opens the 15th of each month for the following month's availability. Finally. you will receive a confirmation email. If you receive a confirmation email, you will be given instructions on how to make your first payment. VIEW OR DOWNLOAD OUR SWIM LESSON REGISTRATION FORM. These private lessons are for children between 6 months and 6 years of age and will teach your children the survival skills necessary for a self rescue should they ever find themselves alone in the water. Children under 16 months will learn how to float and children 17 months and older will learn the swim float swim sequence back to the wall.